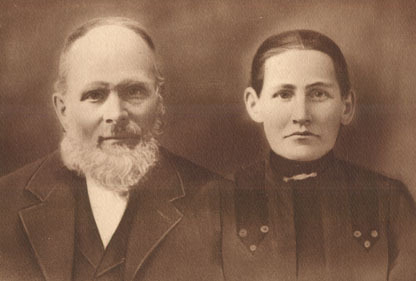 August & Barbara Kemmerich and Karl von Pressentin Family historian is Barbara Kemmerich Halliday from Salem, Ore., who very enthusiastically loves the detective work involved in genealogy research, she also love to share it. So if you'd like to exchange research with her I know she'd love to hear from you via snail mail or e-mail. Rasar State Park; Birdsview, Wa. Entrance building to park. Rasar Park is situated on the western half of August Kemmerich's homestead. It was so nice to meet you, but I'm sorry that you and Howard had to miss our little tour of Rasar Park and the adjoining land that was all once my grandfather Kemmerich's ranch. I got your e-mail address today from Howard Royal. Following is the message I e-mailed to my Kemmerich relatives about our tour. Thought you might like to see the photo album. Howard got it already. Barb Thompson and Glenrose [Bust] Williams gave me copies of some old pictures, but if you have anything else you'd like to share, about Birdsview and the Kemmerich homestead, I'd be pleased to get it. 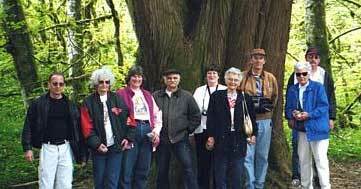 The tour of Rasar Park that nine of August and Barbara's descendants took on May 18 was great. Those of us who were in the "70-something" category were surprised to realize that we actually survived walking around the entire perimeter of the big hay meadow that represents a large portion of August's original homestead! 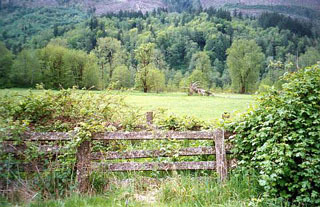 Rasar State park occupies the western half of August's homestead. The eastern half, where his house and barn stood is privately owned, and we found no remnants of foundations to help locate the exact location of the buildings. 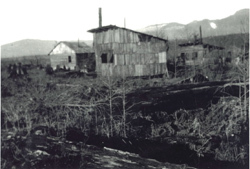 But, two old fruit trees helped Pat Ackerman Napier locate the approximate location of the ranch house. This was Pat's first return to Birdsview since she and her mother, Anna, left in 1945. Some women who had been Pat's schoolmates came along on our tour and Pat had a great reunion with them. The park has utilized the northern, upper level of the homestead for their campgrounds, and day use area. They plan to keep the lower level, the river bottom land, in a hay meadow with nature trails along the Skagit River. A Mr. Jim Bates is the farmer who is presently farming both the park's portion of the hay meadow, plus the eastern portion. 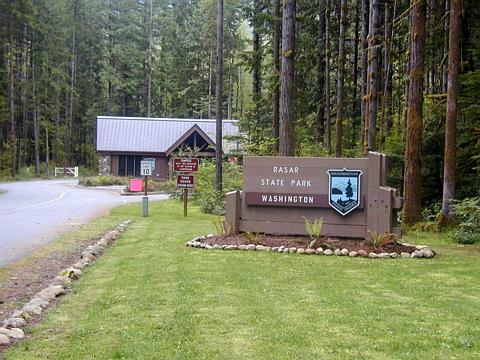 The best news--the park manager, Mr. Kevin Kratochvil, said that now that he has so much information on the early history of the park from August's descendants, he hopes to use a now-empty portion of the entrance building for a history interpretive center. This would give recognition of August and Barbara, the original settlers on the land. Developing the history center no doubt hinges on getting funding, but at least the manager is interested in setting up such an exhibit. He said he hoped that the Kemmerich descendants would be willing to share their photos, stories, etc. with the park for the exhibit. I'll keep you posted as I hear more from Mr. Kratochvil. Walking around the park I think we all were in awe of what August and Barbara Kemmerich accomplished on their homestead, when Washington was still a Territory and they were truly living on the frontier. Other people from Birdsview and Sedro-Woolley joined us on the tour and they all agreed that it was wonderful to have a portion of this beautiful valley preserved for all time. Already, the land around Birdsview is changing, as people from the urban areas of northwest Washington build their summer homes, mobile home parks, etc. Very little still remains as it must have been in the 1880's. Rasar Park is the exception, and that is very, very good. I'll be sending you an e-mail from Yahoo! inviting you to view my picture album of the Kemmerich family and Rasar St. Park.You will originally see just small pictures. If you click on the caption under the picture--it will be bigger and you can read the entire caption. You should also be able to see all the pictures as a Slideshow. There will be the word Slideshow above the little pictures, click on that, and you should see bigger pictures that automatically change. Above the picture will be symbols similar to what you see on a tape recorder. A forward arrow, square for STOP, and double arrows pointing forward and backward for fast-forwarding or reversing. Supposedly you can change the speed also, but I can't see that this has much effect. If you want to look at one picture longer, just hit the STOP button. Then, to restart the slide show hit the single forward button. I learned some new information about the Kemmerich ranch tonight in a phone conversation with Jim Bates, who farms the hay field for Rasar Park and also the eastern portion of land where the Kemmerich ranch house and barn stood. Among other things, he said that Grandy Creek used to flow through the Kemmerich property (as you remembered it!) but was re-routed when they did road improvement to Cape Horn Road. So, that makes your recollections and what we saw on our tour jibe a bit better. He had some more information that was new to me, so I'll pass it along to you, just in case you might be interested.